Attention to detail is the foundation of fine gardening. What makes a garden great? Every great garden possesses an underlying structure that defines the space, often referred to as 'the bones.' Meticulous attention to detail is woven into the placement of every element, from walkways, patios and stairs to water features, pergolas and arbours. Each feature should work in harmony, frame vistas and provide a fitting showcase for the planting beds. Overcoming site challenges is an important part of the equation; dealing with drainage problems, micro climates and topographical issues, for example. But more than that, a great garden has an elusive, magic quality that transcends the physical -- it looks as if it belongs there. A great garden has character and style that comes from appearing at home in its setting. This feeling of belonging comes from the relationship between the garden and its site, the home that occupies the site and the natural world. Landscape design involves many important decisions, but when planning all the elements that form the backbone of a garden, sensitivity to site is perhaps the most important. Impose an artificial environment on a site without regard to it's location or character and it will result in a garden space that is awkward and unnatural. Stay true to the character of a space and it will become a thing of beauty. 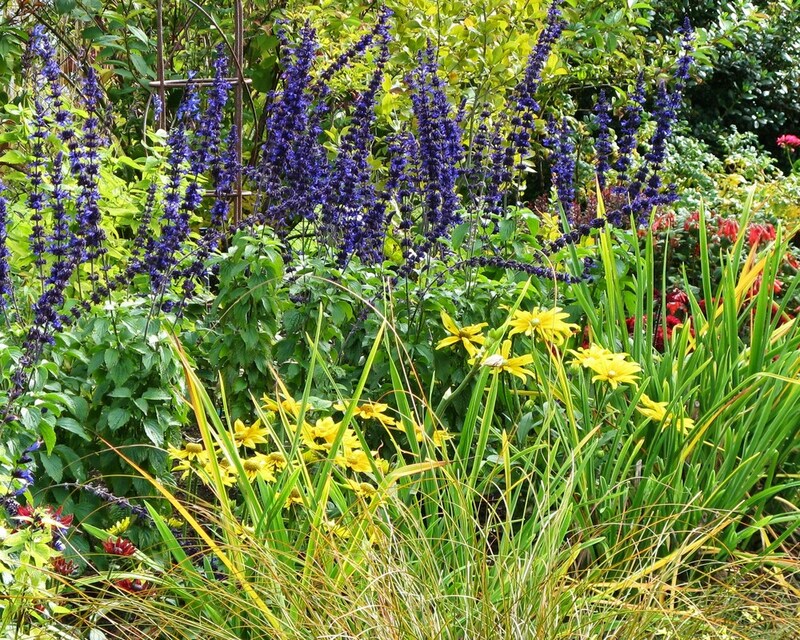 Observation, innovation and an artist's eye are key traits Urban Habitats garden designer Lorraine Locherty has acquired over nearly two decades developing gardens in Victoria and Calgary Alberta. She returned to her love of gardening and horticulture after a distinguished career as an award winning investigative journalist, senior editor and graphic designer at major Western Canadian dailies, including the Edmonton Journal and Calgary Herald. While working at the Herald, she bought a 20 acre farm and developed a second thriving career, selling organic produce and free range eggs to high end restaurants in the Calgary-Banff corridor. She completed the master gardener program at the Calgary Zoo and Botanical Garden. Lorraine eventually returned to the West Coast to pursue this third career and her first love, painting. She returned to school to become a certified horticulturist and attended the UBC School of Garden Design. Lorraine has been curator of the Doris Page winter garden at Glendale Gardens and is an expert in native and winter blooming plants. She is a garden writer and lecturer. Her gardens have been featured in magazines (Canadian Gardening, Tweed, Boulevard), in competition and on the prestigious Conservatory of Music annual garden tour. Urban Habitats partner Cam McCulloch creates beautiful hardscape elements, including rock walls, garden buildings and landscape lighting. He is known for his craftsmanship and attention to detail. Urban Habitats Landscape Studio specializes in the creation of habitats, not just for humans, but also birds, bees and butterflies. Although we love to remove lawns and replace them with drought tolerant landscapes, we enjoy creating lush, layered plantings and inviting spaces for relaxing. Our team of talented professionals includes masons, irrigation experts and horticultural technicians. Resident designer Lorraine Locherty personally oversees all projects to ensure the details are right and the vision is true.